Albert Einstein once said that anyone who has never made a mistake has never tried anything new. Regardless of what it is you are pursuing, the key is to always try and experiment with new things until you finally find what works for you, no matter how long it takes. Meet James Chan, certified Honda enthusiast and has been for years now, so much in fact that the locals around here call him the “Honda King”, and for good reason. James has been tuning Hondas for years now and has helped many members of the community at one point or another. We first caught a couple glimpses of this car back when it was getting tuned, but never saw it after that, even though I had mentioned a future feature on it. Well, here you are! 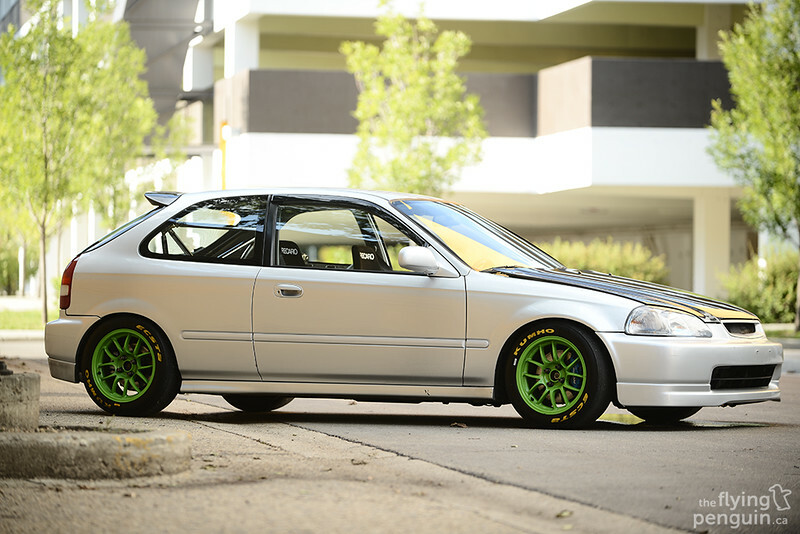 Having previously owned a BB6 Prelude, an EH9 Civic, as well as an EJ1 Civic, James put all experience and knowledge from years of tuning as well as track experience together, and created this monster machine you see here. …which is actually fairly tame compared to the rest of the car. 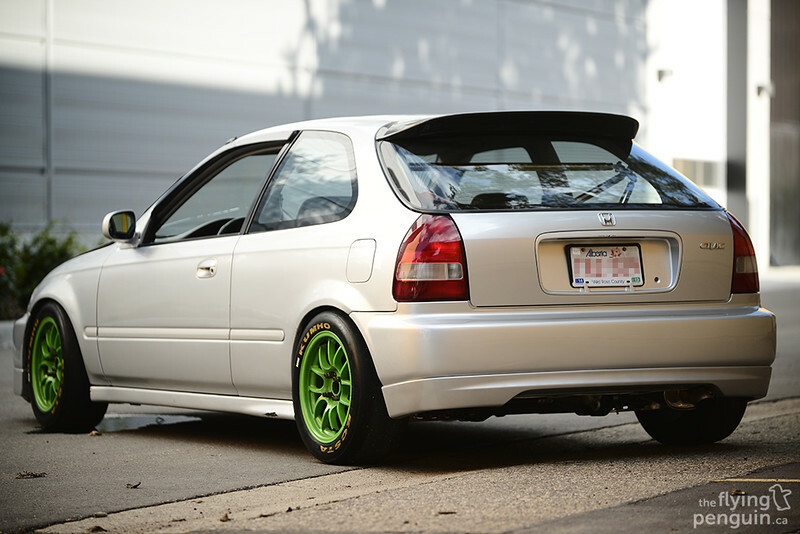 The exterior has been fitted mainly with JDM OEM EK9 Civic Type R parts in the form of a front lip, rear lip, folding side mirrors, thin side moldings, window visors, and black housing headlights. The only real aftermarket things on the outside are the Spoon Sports carbon fiber hood and duckbill spoiler that rounds off the rear. Forgive me but I just had to throw this here. Spoon-ism! 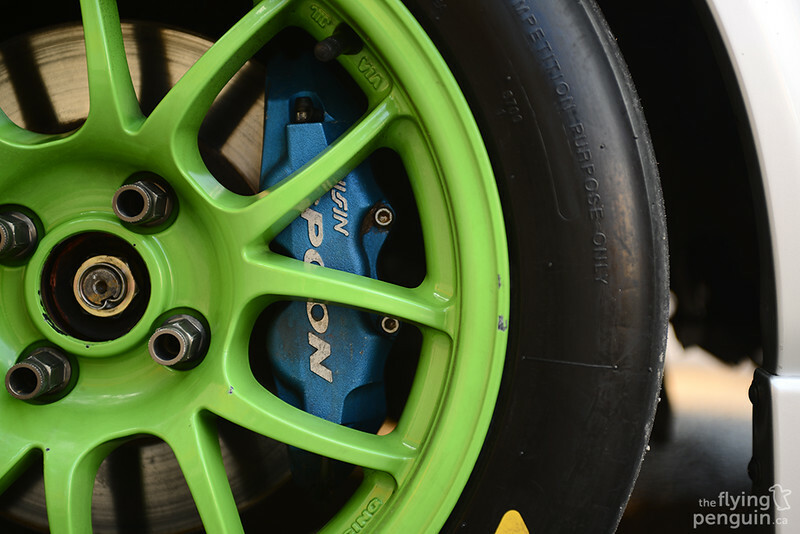 Of course it’s hard to not notice the bright green 949Racing Version3 wheels which are sized 15×8 all around. When we did the shoot the wheels were wrapped in some Kumho Ecsta slicks but have since been replaced by a set of sticky Nitto NT01’s. 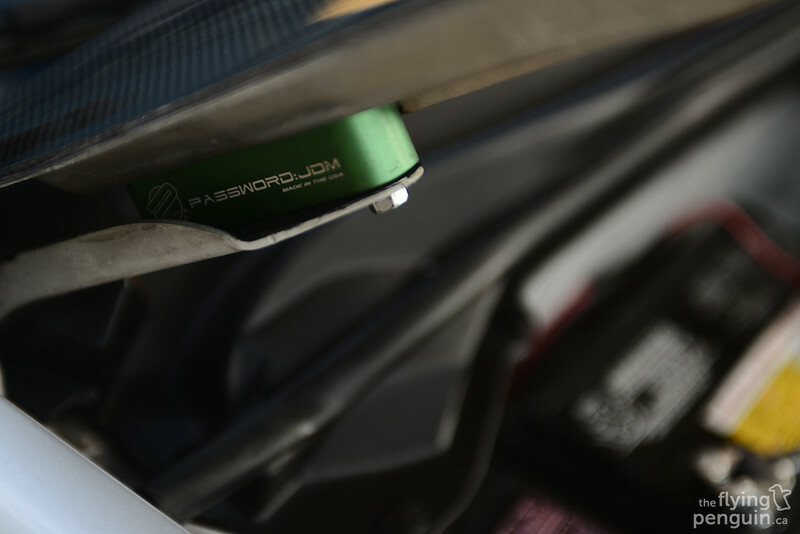 You can also get a peek behind the wheels at the brake setup which consists of Spoon Sports calipers with Fast Brakes rotors up front, OEM S2000 calipers with EP3 rotors in the rear, and Project Mu Titan Kai brake pads all around. Brakes are extremely important when racing and should never be overlooked, so a USDM Civic Si prop valve, ITR brake master cylinder, ITR brake booster, and Goodridge stainless lines also aid in bringing this machine to an abrupt halt if necessary. After all, you have to slow down again if you want to go fast! There’s been a lot of talk about Edmonton getting its very own road course for years but nothing ever came of it, until now. I am happy to say that Castrol Raceway has finally completed paving of its 2.7KM long track, which meant that James had to up his game when it came time to tackle the suspension. Since FWD cars are prone to understeer, the suspension on this car has actually been put together with the focus of not only increasing cornering speeds, but to also lean a little bit towards inducing oversteer. For that task, Koni Race(SPSS valved) shocks with Ground Control coilover sleeves and ITR upper shock mount bushings have replaced the old and worn out factory components which really help stiffen up the ride. It takes a lot more to get the best performance out of a set of coilovers, so a plethora of HardRace products were used to maximize the cornering potential of the car. Front and rear camber arms, rear toe adjustment arms, front dinner and outer tie rods, and a full bushing set all found their way into the undercarriage to help when going through the twisties. 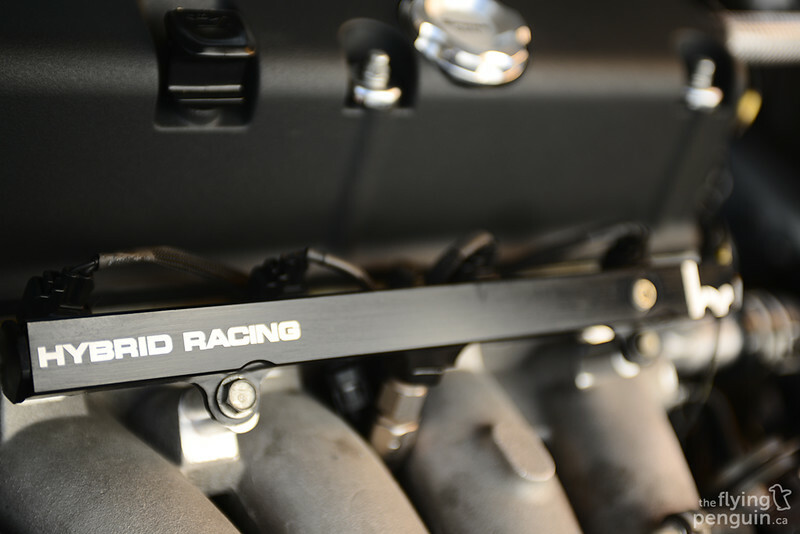 An ASR rear subframe brace, 24mm rear sway bar, and Function7 DC2 rear control arms round off the suspension components in the rear, while an OEM 24mm sway bar handles the rest up front. …try again, or rather, try K power! At the heart it all is a K24A4 block mated to a K20A2 PRB cylinder head which has also been CNC ported by 4 Piston Racing, but it doesn’t stop there. 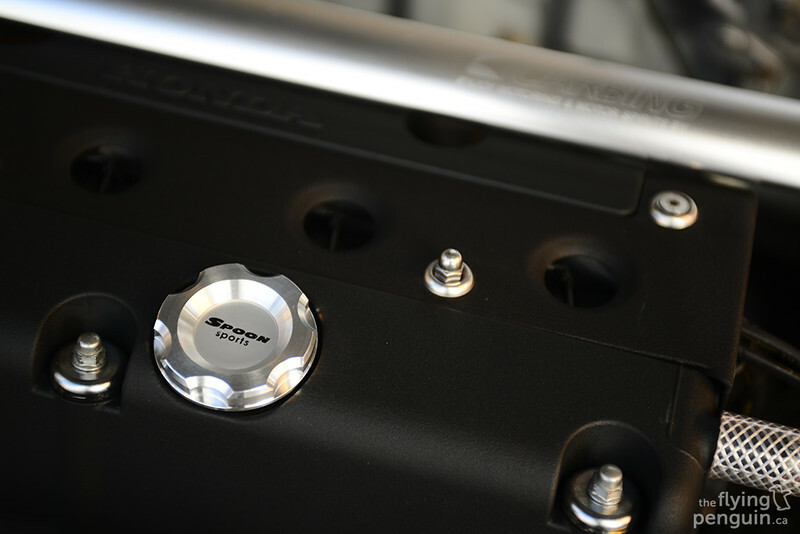 Deep down inside the engine you’ll find a pair of billet cams also from 4 Piston Racing, a Supertech valvetrain, Supertech 12.5:1CR pistons, as well as Carillo rods to help handle the incredibly high RPM’s that naturally aspirated Hondas are known to achieve. 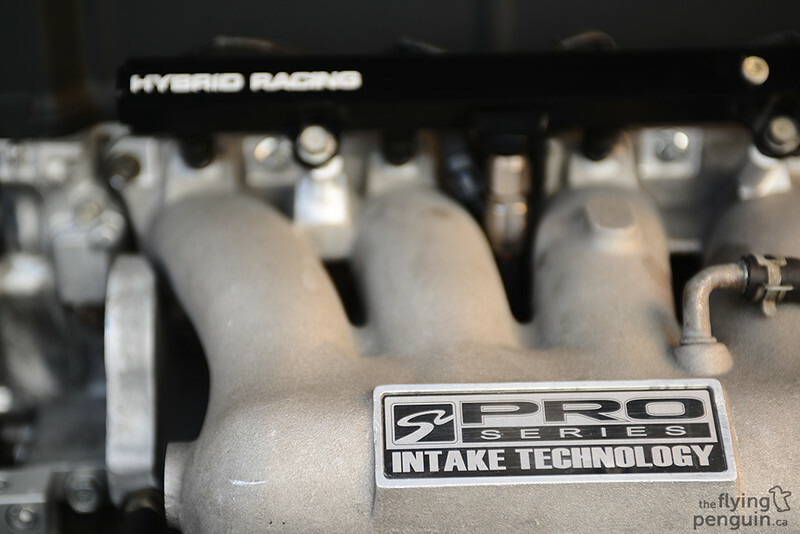 A TypeS PRB oil pump and Hytech oil pan baffle help to ensure that the engine doesn’t suffer from oil starvation, while a Circuit Hero lower timing chain guide also helps to prevent any damage from possible timing chain or tensioner failure. Naturally (no pun intended), it’s not all about durability (although that is also very important! ), so the engine has also been treated with a number of “power adders” as well. 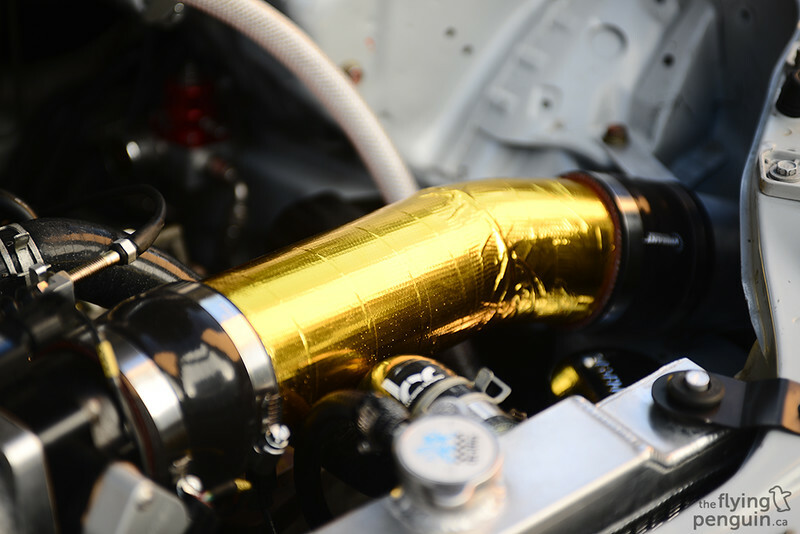 A custom 3.5”-4” cold air intake wrapped in DEI gold reflector tape feeds in a Skunk2 intake manifold via a 74mm Skunk2 throttle body. Exhaust gases are then expelled through a Skunk2 header and then finally out the custom 3” exhaust. Man, I never thought 3” exhausts would ever be used on NA builds before! None of this would have been possible if the K wasn’t able to make its way into the Civics engine bay in the first place, so the swap is held securely in place with a set of Innovative engine mounts. 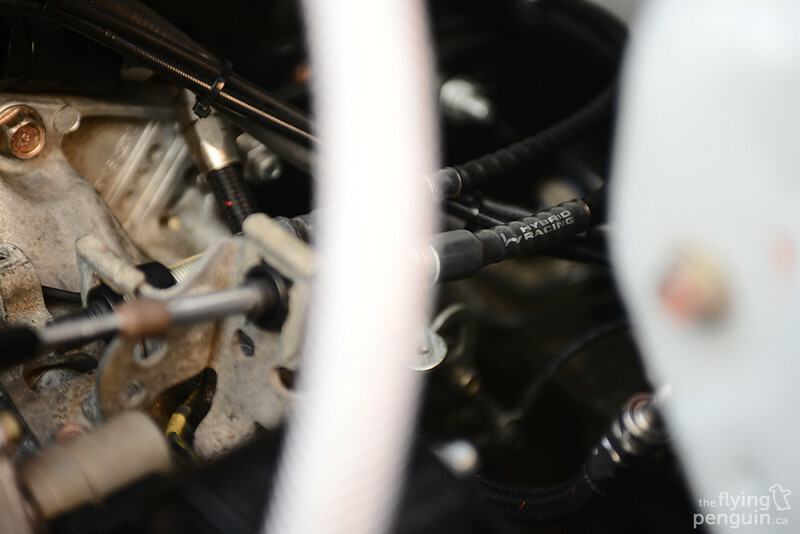 A K series motor also means K series accessories, so the K series (that’s a lot of K series) specialists Hybrid Racing were called in for their famous K Swap Short Shifter, shifter cables, interior conversion harness, timing chain tensioner, radiator, and fan. 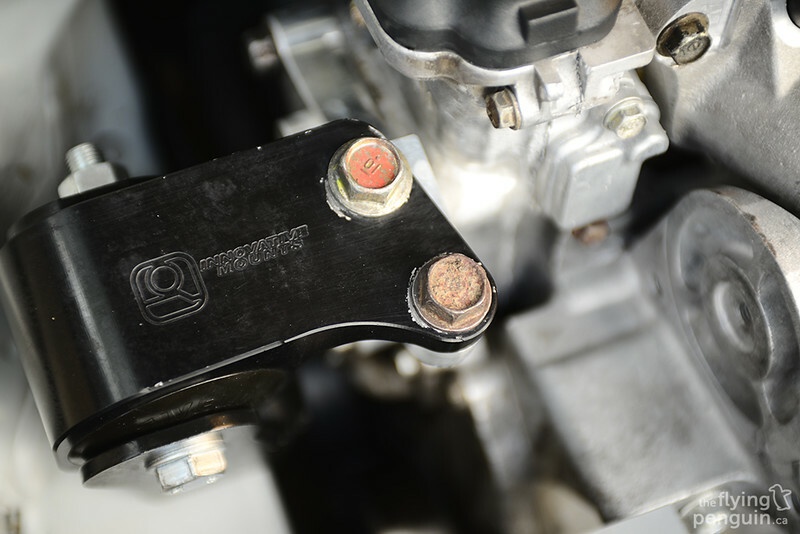 From there, all the power is transferred to the wheels via a DC5R transmission. 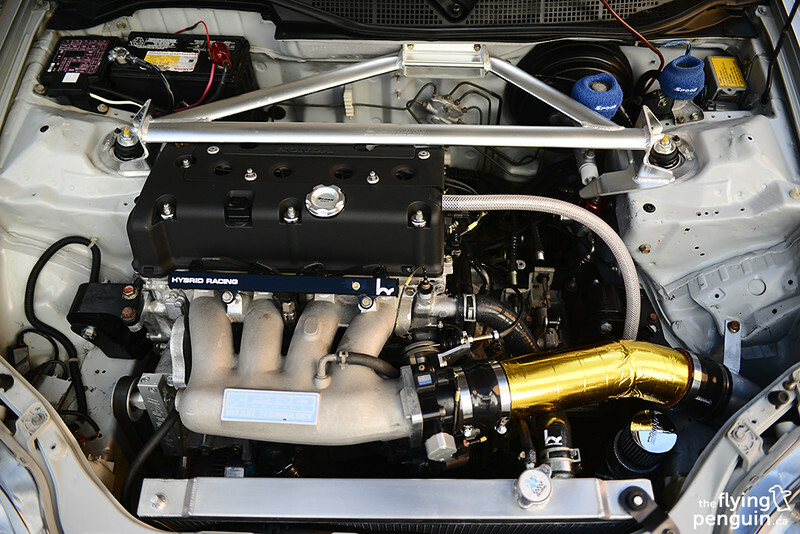 All 273WHP and 192ft-lbs, tuned via a Hondata K-Pro by Kenny Sampson of Turbogixxer Tuning. I should also note the Carbing 3-point strut bar which of course helps stiffen the chassis up front, but also has an integrated brake master cylinder stopper. Talk about a tight fit! 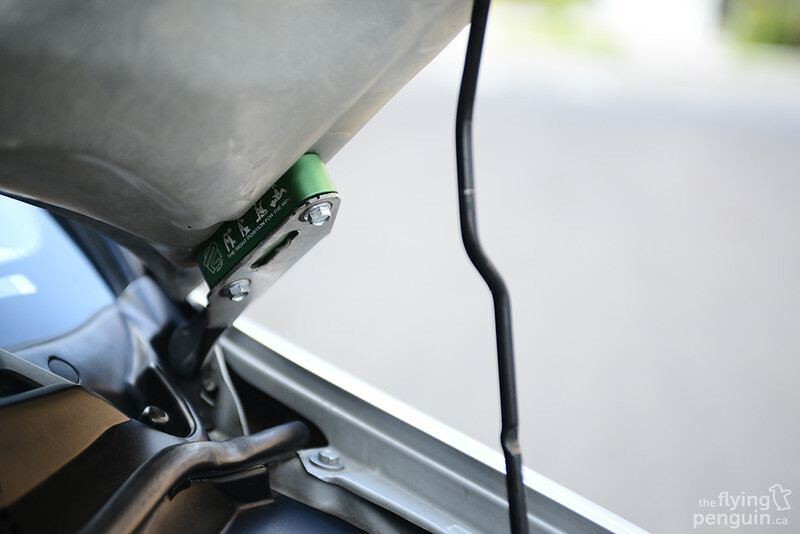 Last but not least, a pair of Password:JDM hood risers are used to help hot hair escape the engine bay and keep things cool. 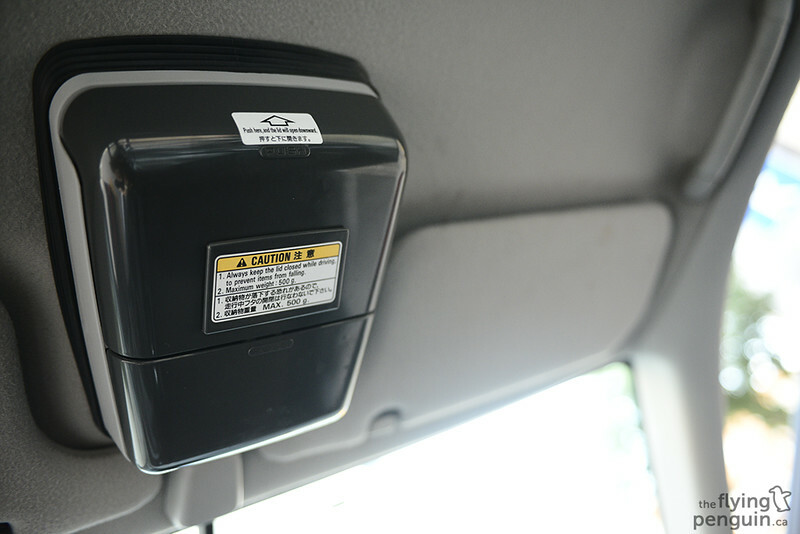 …and Takata harnesses to hold both driver and any passenger lucky enough to ride shotgun. 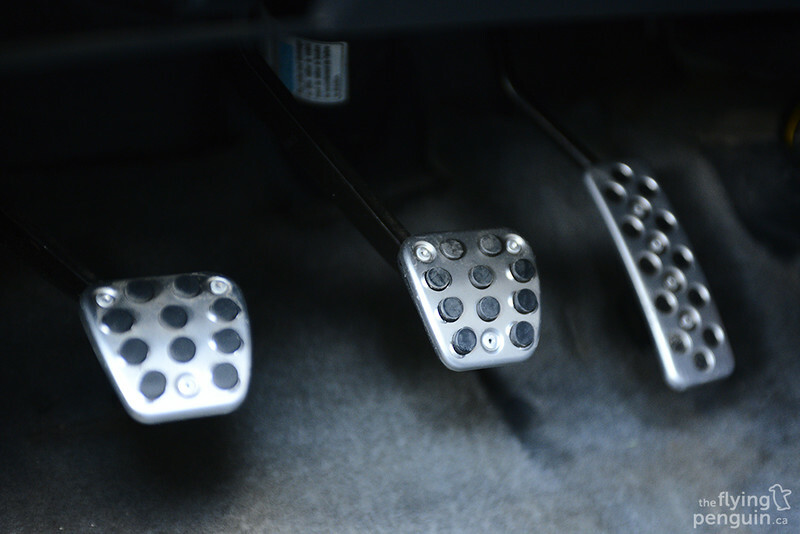 …while a Circuit Hero weighted shift knob helps make for easy shifting. 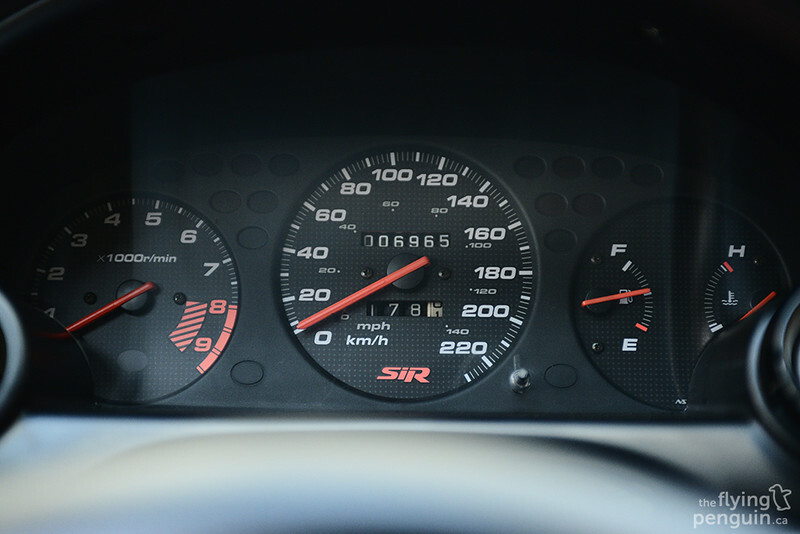 Depending on where the car is being driven, you’ll find either a CDN Civic SiR cluster in place for the street, or a SARD Stack cluster when blasting around the track. Unfortunately the bezel for the STACK cluster was still being finished when we did the shoot so it wasn’t installed. You won’t find any rear seats in this car, but instead a full Miracle X Bar set by NEXT! This full set consists of the main X Bar (Type 2), top bar, bottom bar, and butterfly (side) bars. This undoubtedly helps stiffen the old Civic chassis, especially helpful considering all that extra power under the hood. 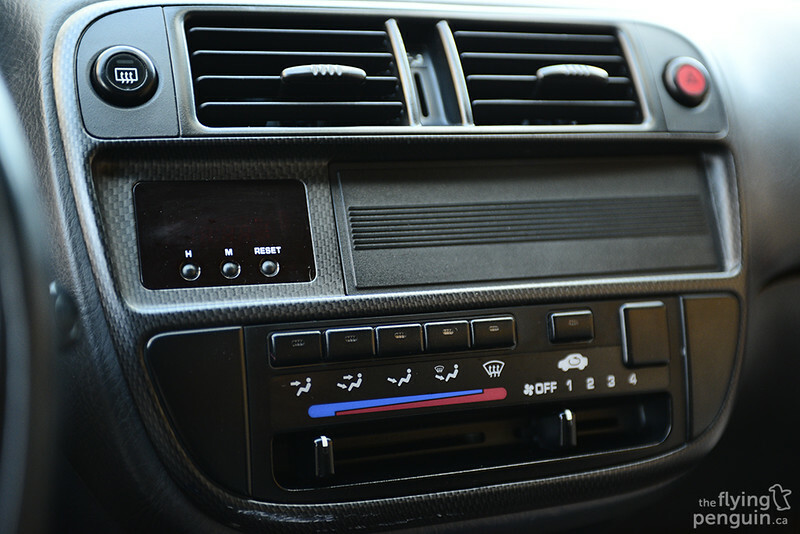 Anyone who has never made a mistake has never tried anything new, and this car slightly older car with modern day technology is a perfect example of that. Through years of hard work and dedication, James has put together this amazing beauty of a car you see here. He is always trying new things, always trying to extract every last bit of potential from the car, and always working hard to continue doing what he loves doing. Enter The King, the Honda King. Follow James on his blog HERE! 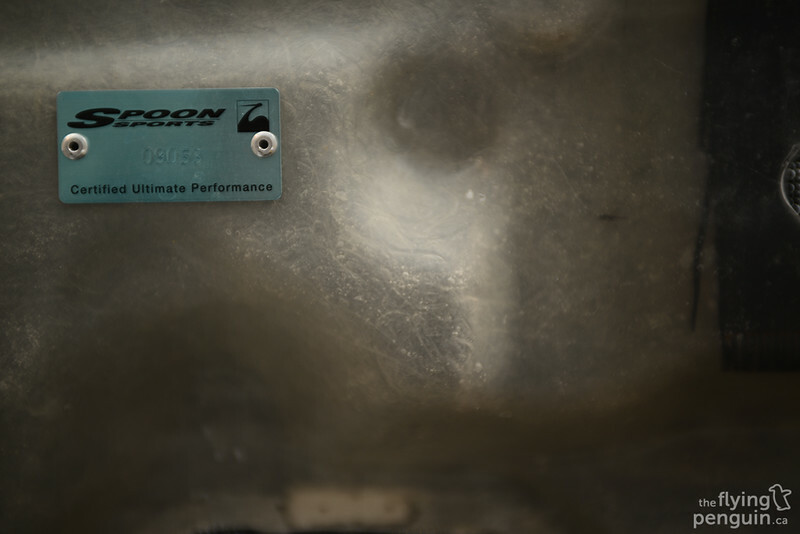 Spoon Sports Carbon Fiber Hood. 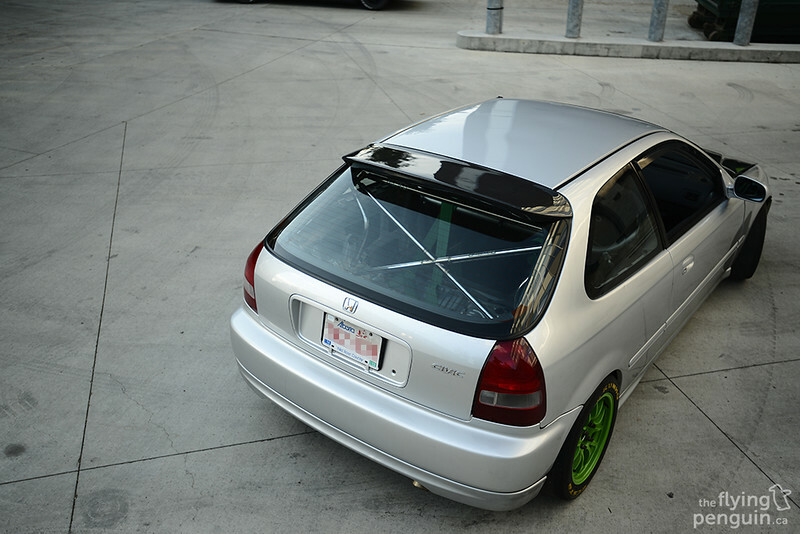 Spoon Sports Carbon Fiber Duckbill Spoiler. JDM OEM EK9 Front Lip. JDM OEM EK9 Rear Lip. JDM OEM Thin Side Moldings . JDM OEM Folding Side Mirrors. Project Mu Titan Kai Brake Pads (Front And Rear). USDM Civic Si Prop Valve. 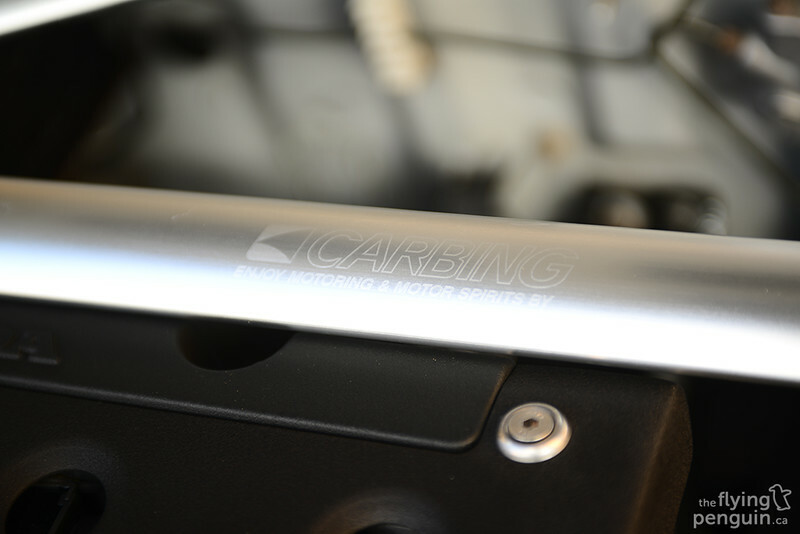 Carbing 3-Point Strut Bar (With Integrated Brake Master Cylinder Stopper). 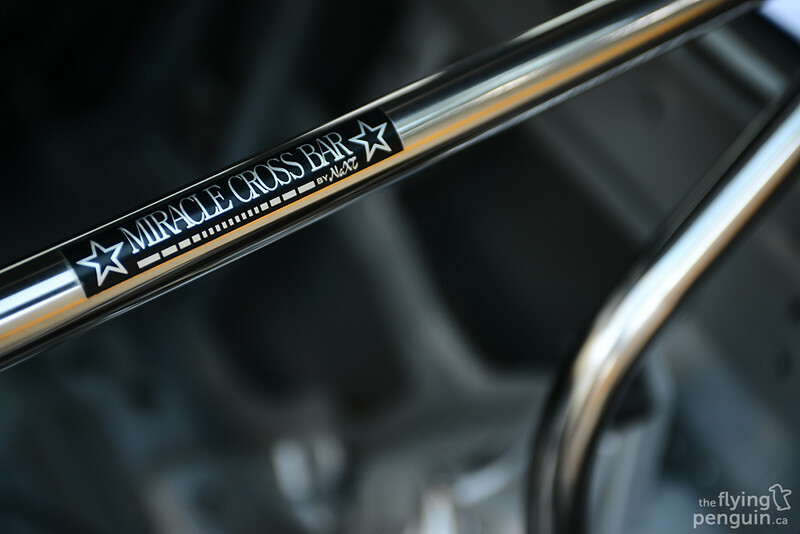 Miracle X Bar Type 2 Set (Top Bar, Bottom Bar, and Butterfly Bars). 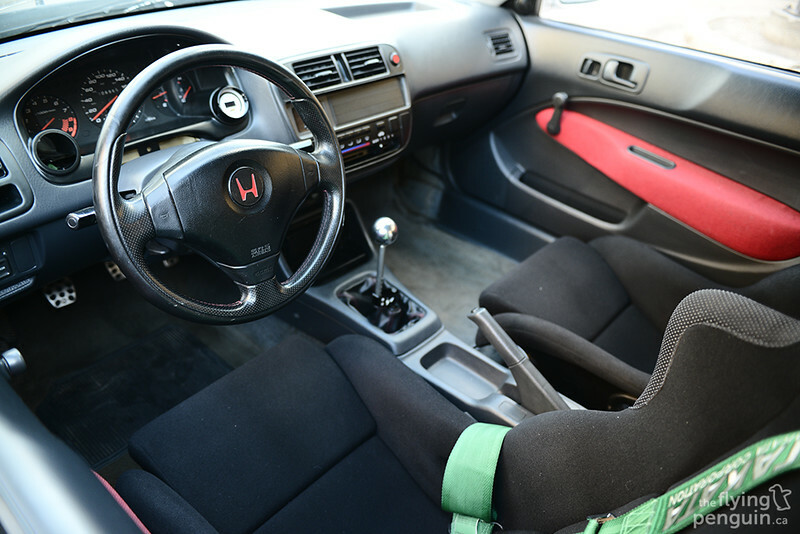 JDM EK9 Steering Wheel w/SRS. JDM EK9 Climate Control And Bezel. 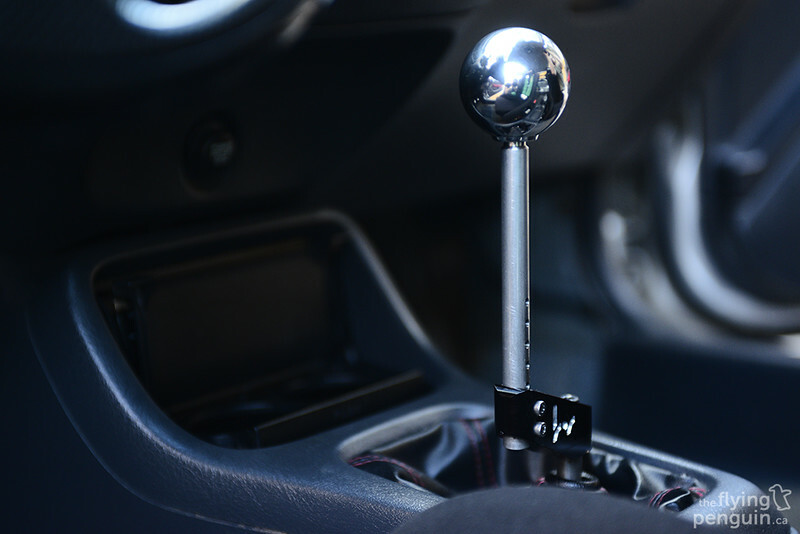 Circuit Hero Weighted Shift Knob. 4 Piston Racing CNC Port Work, Pro156. 4 Piston Racing Billet Cams. Circuit Hero Lower Timing Chain Guide. Skunk2 Intake Manifold (Modified By 98luder). Custom 3.5”-4” Cold Air Intake. 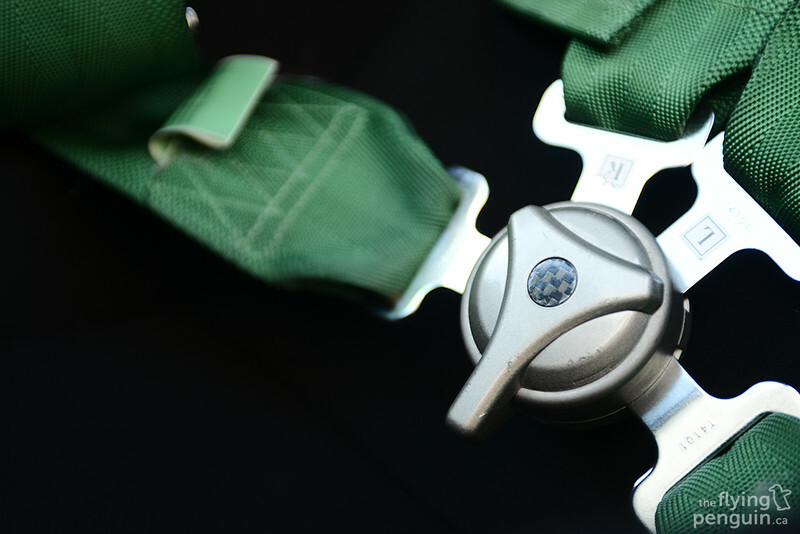 Hybrid Racing Interior Conversion Harness. Hybrid Racing Radiator And Fan. Hybrid Racing Timing Chain Tensioner. Koni Race (SPSS Valved) Shocks. -Front Spring Rates 600lbs/in (approx.. 10.5kg/mm). -Rear Spring Rates 700lblbs/in (approx.12.5kg/mm). ITR Upper Shock Mount Bushings. HardRace Rear Toe Adjustment Arms. HardRace Front Inner And Outer Tie Rods. Function7 DC2 Rear Control Arms. OEM Front 24mm Sway Bar. 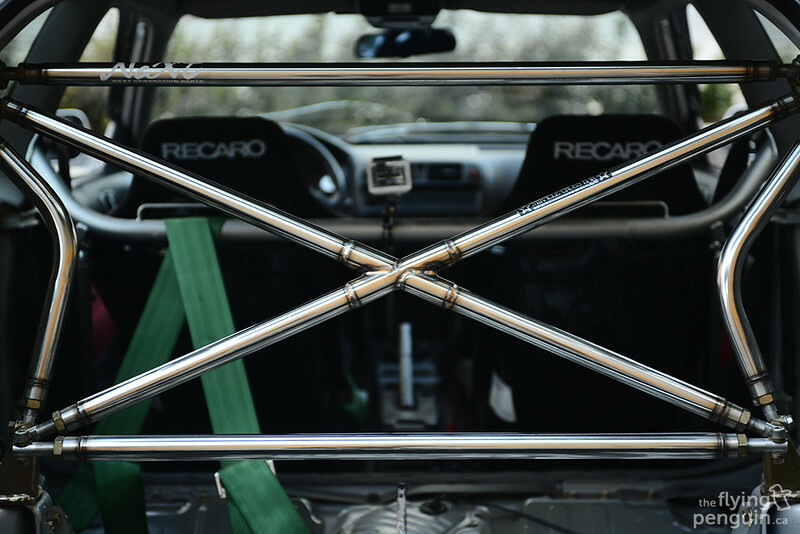 ASR 24mm Rear Sway Bar. Lovely Ride. Great Feature. Clean, simple, stealthy. Perfect.